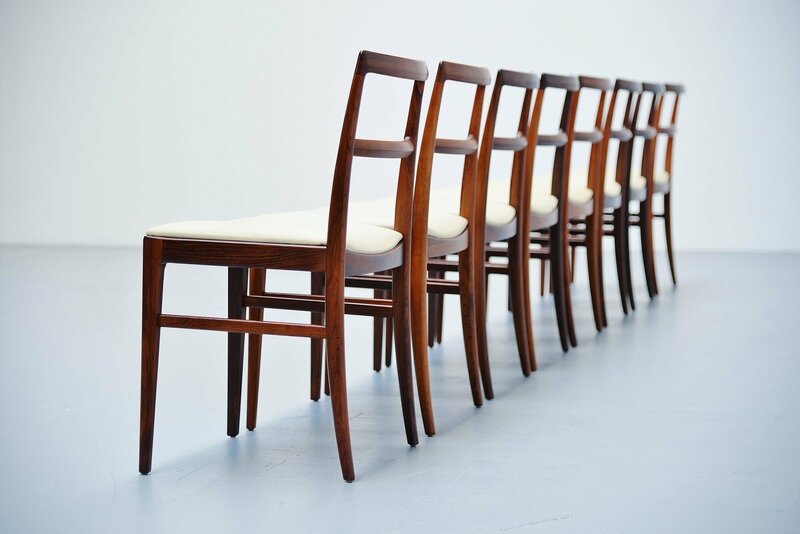 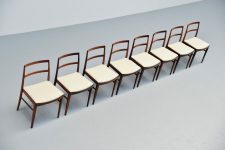 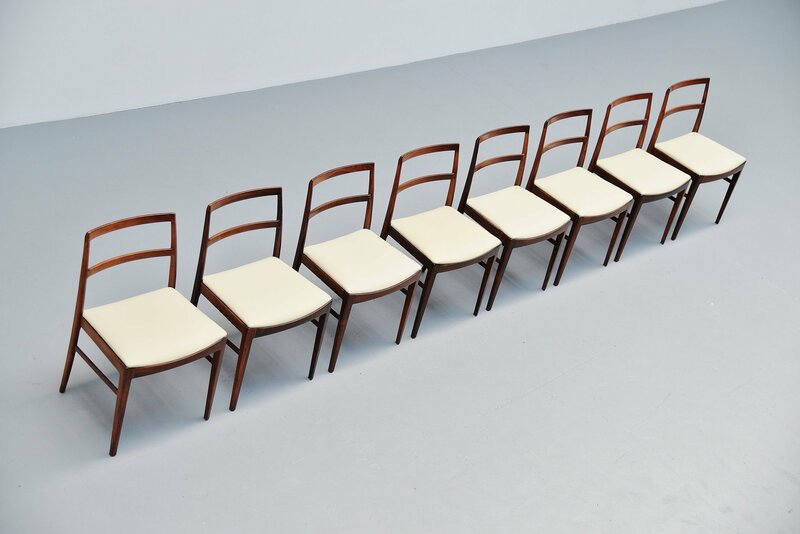 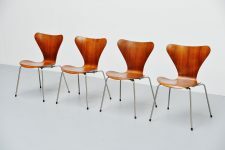 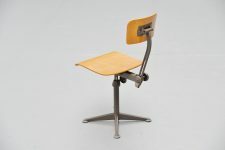 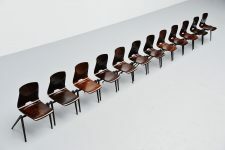 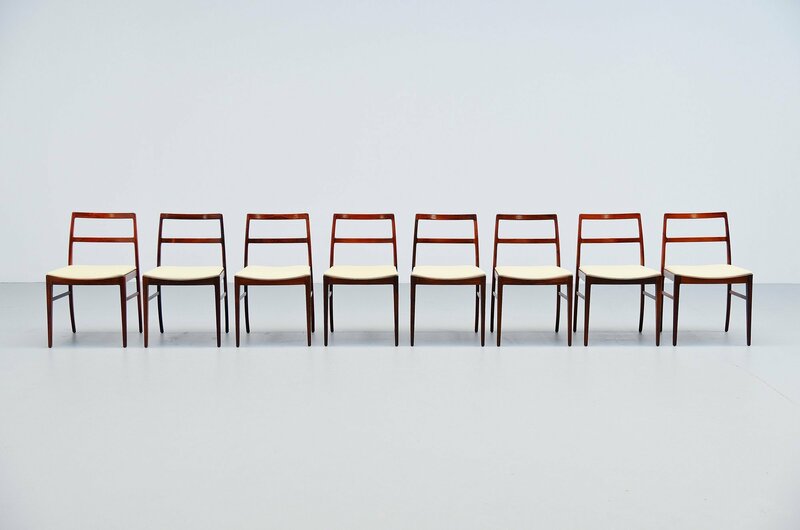 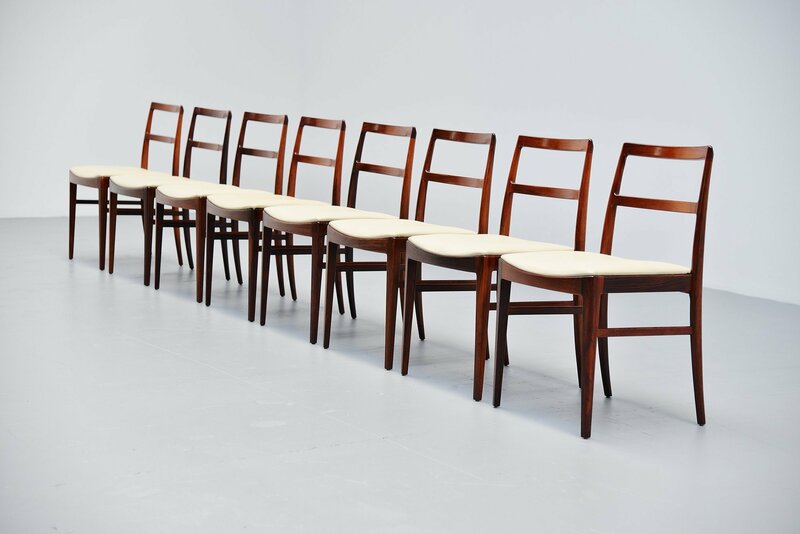 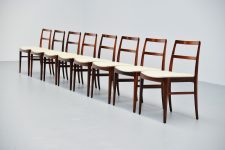 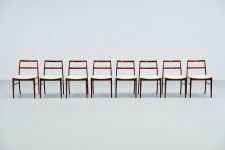 Very nice set of 8 dining chairs designed by Arne Vodder and manufactured by Sibast Mobler, Denmark 1960. 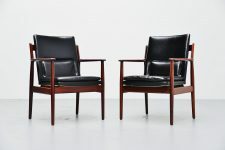 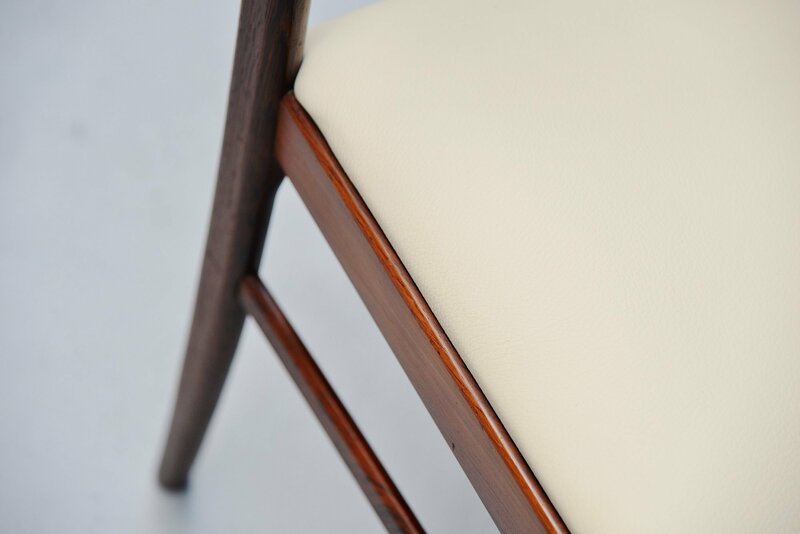 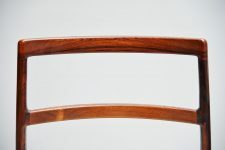 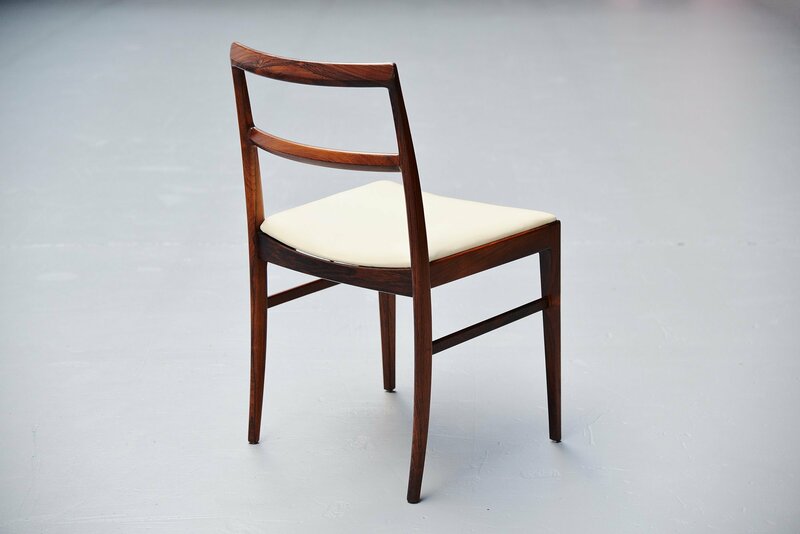 These chairs are model 430 and made in solid rosewood. 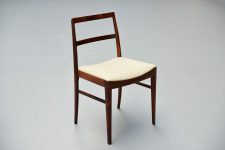 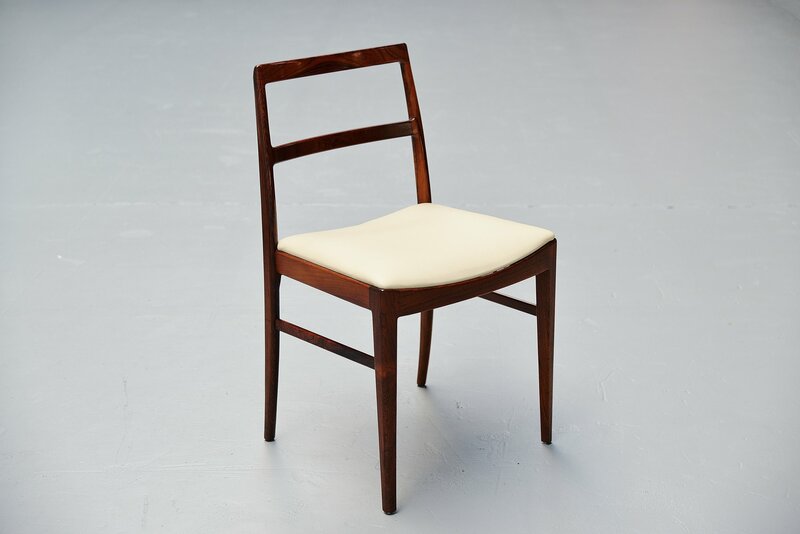 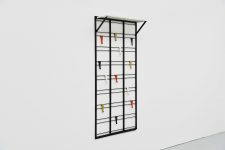 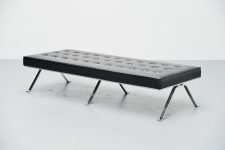 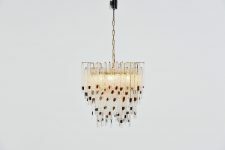 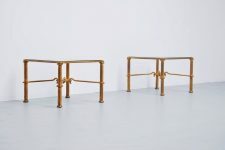 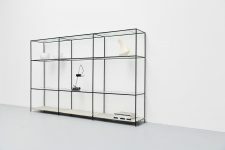 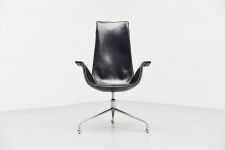 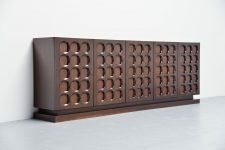 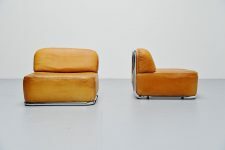 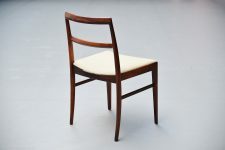 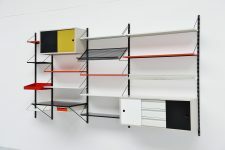 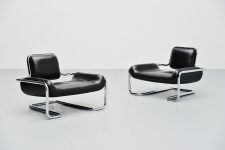 They are newly upholstered in creme leather upholstery of high quality. The chairs look really simple but they are actually very nice with many different crafted details. 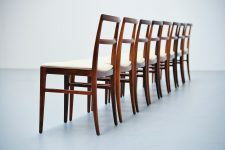 Nice warm rosewood grain and comfortable set of 8 chairs.